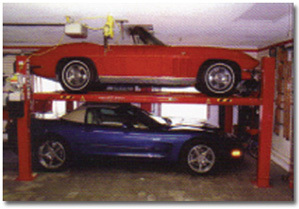 You can double your vehicle storage space with vehicle lifts from Miller Garages. If you love your vehicles but have limited space for keeping them, we can help you. We'll come to your home, review your storage options with you, and prescribe the auto lift that will take care of your needs. At Miller Garages our technicians will guide you in selecting a standard or extended lift, based on your ceiling height. We'll consult with you, order your lift, arrange for delivery, and set it up when it arrives. Caster kits are available for your lift, if so you can move it around - helpful when you're working on your vehicle or customizing it. Service accessories such as jack trays and drip pans are also available, if you plan to use your lift to service your vehicle. And you can rest assured: Any vehicle lift you purchase from Miller Garages meets industry standards for safety and strength. 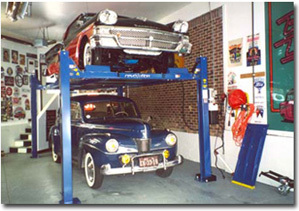 At Miller Garages we draw on our years of experience in working with automotive lifts to assess your needs and advise you on the best options for vehicle storage at your residence. 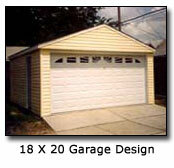 Contact our knowledgeable staff at Miller Garages for help in purchasing your residential vehicle lift. We guarantee you'll be satisfied with your purchase. With our help, you'll select the right vehicle lift for storing and servicing your private auto or motorcycle collection. We can put our years of experience at your disposal. We have a reputation for customer service that's second to none. We invite you When you're ready to consider your vehicle storage options, we're ready to help you with your vehicle storage needs.